The queen of hills had warmly welcomed us with a heavy downpour. I looked out across my car’s window and could see the far wide lush green surroundings with tall trees reaching for the sky, the beautiful sky which was turning greyish black from the cocktail blue shade. Soon the rainfall became more intense with the thundering sound of clouds. The roof of our car also danced rhythmically with the pitter-patter sound. We took shelter in a small road-side dhabba for a tea break and for the rains to subsidies. There’s nothing perfect like a steaming hot cuppa of tea to accompany the rains. After waiting for some time eventually, the rains lessened and the sounds faded into a musical chime. We reached Darjeeling in the evening, I found this town, not a typical sleepy hill station type but more like a busy and crowded city with narrow roads, congested traffic and lots of tourists all around. A city with busy markets and a major shopping destination filled with fashionable and variety kinds of stuff. It is hard to admit that this beautiful hill station is sadly converting into a gateway of heavy tourist influx and becoming an urban nightmare with its growing population and haphazard construction. Since it had rained so much in the afternoon, the weather was quite cold and foggy. Consider that foggy weather we had dropped the plan for the Tiger hills in early wee hours to see the sunrise on next morning. On a clear day, the best view of Mount Kanchenjunga can be seen from here. Darjeeling has so much to explore, a small town which offers so much variety, Beautiful Batista Loop, a nicely Preserved HMI Museum (Himalaya Mountaineering Museum) which is a repository of various paintings, sculptures, equipment related to climbing. It also facilitates educational activities on mountaineering and its preservation. 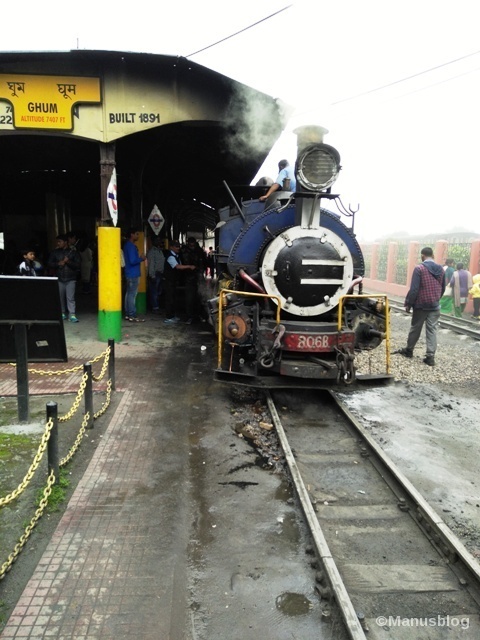 The toy train is the main attraction in Darjeeling. So, do not forget to take a fun-filled joy ride. Since it is in high demand, you have to book the tickets in advance at least a day before, can be done thru IRCTC. It was such a coveted and absolutely fantastic experience for me which I thoroughly enjoyed. The train passes thru the city and travels so close to the houses and shops that you can even touch them. 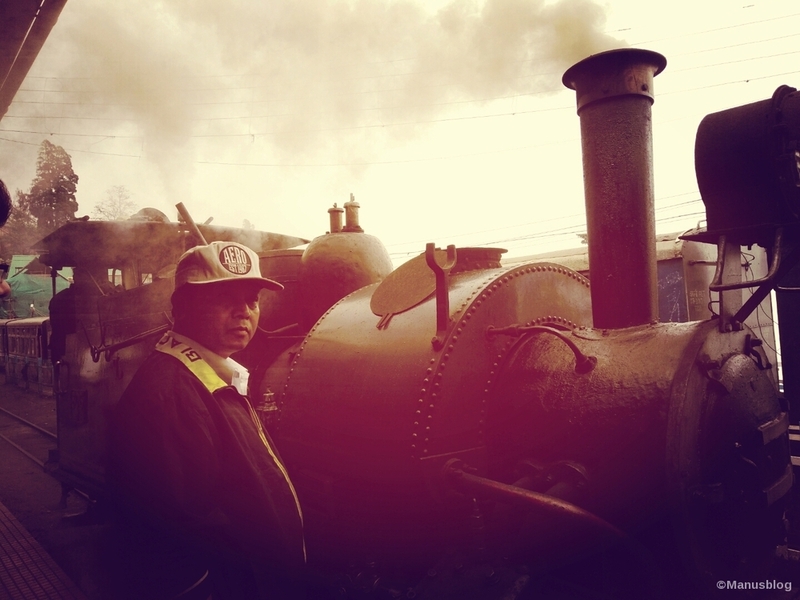 The train took us from Darjeeling station to Ghum Station and back via Batista loop where it halted for half an hour. It also reminds me the popular Hindi song ” Mere sapno ki rani kab aayegi tu ” which was shot here. 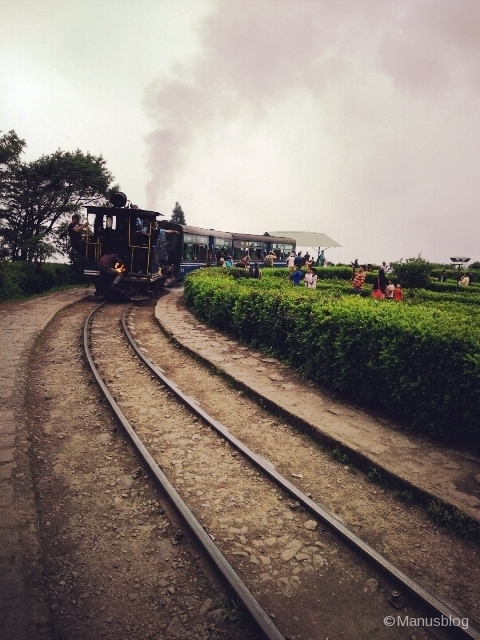 Darjeeling Occupied a place of pride for its world famous Tea Estates. It offers varieties of tea but most of the quality tea has exported to various European countries and to Japan. A trending Tea Tourism concept is getting Popularised, where you can stay either in Bungalows or Homestays situated inside the gardens with all Amenities and can enjoy flavours of tea with the serene atmosphere. 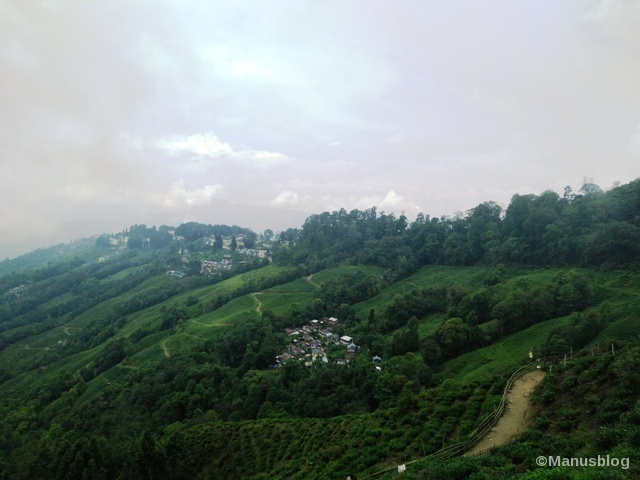 Nature walk, tea plucking, tea factory visit, trekking, hiking etc. 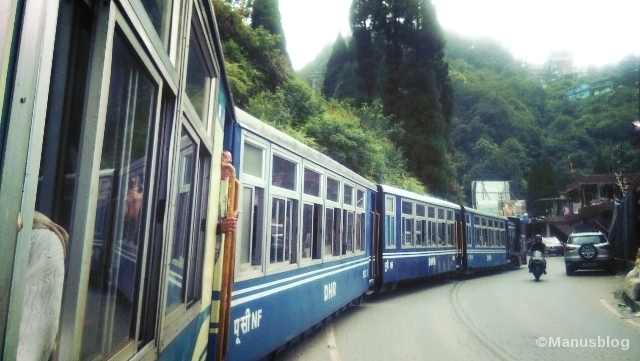 Darjeeling is considered as the dreamland of East and has so much unique to offer. Soak yourself in its mystic aura and sip the world’s famous black tea in an oasis of serenity as we did.